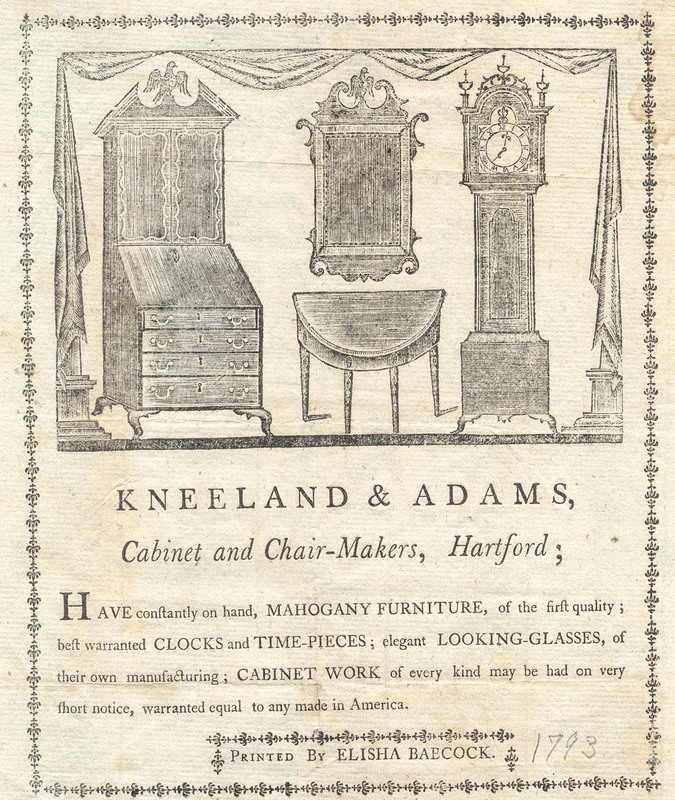 In early America, craftsmen usually interacted directly with their customers, who in turn knew the person they were buying from. 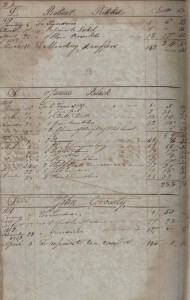 Craftsmen advertised locally and recorded their own sales. 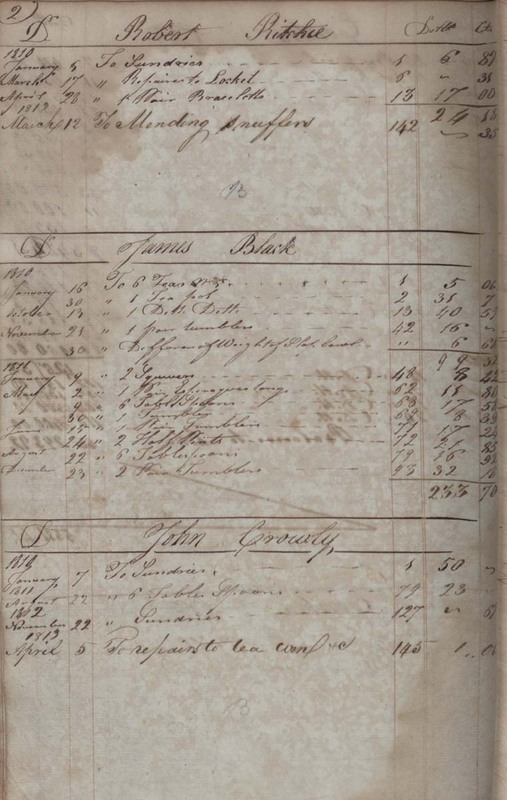 Their business records, such as account books and invoices, not only list purchases and prices but also shed light on social networks, buying practices, and barter economies. 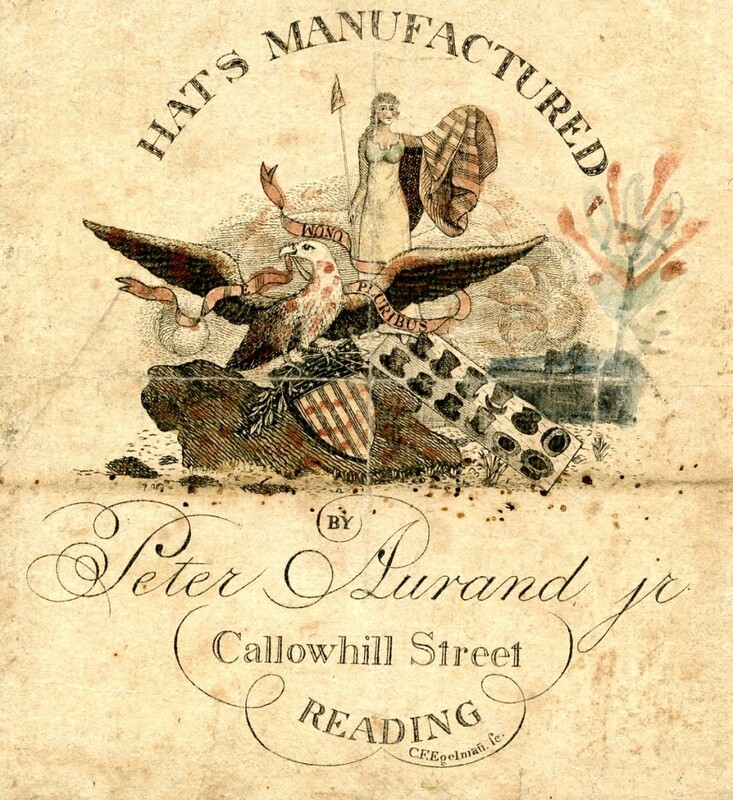 The use of trade cards and labels, an early form of advertising, originated in England in the 1600s and then spread to the colonies. 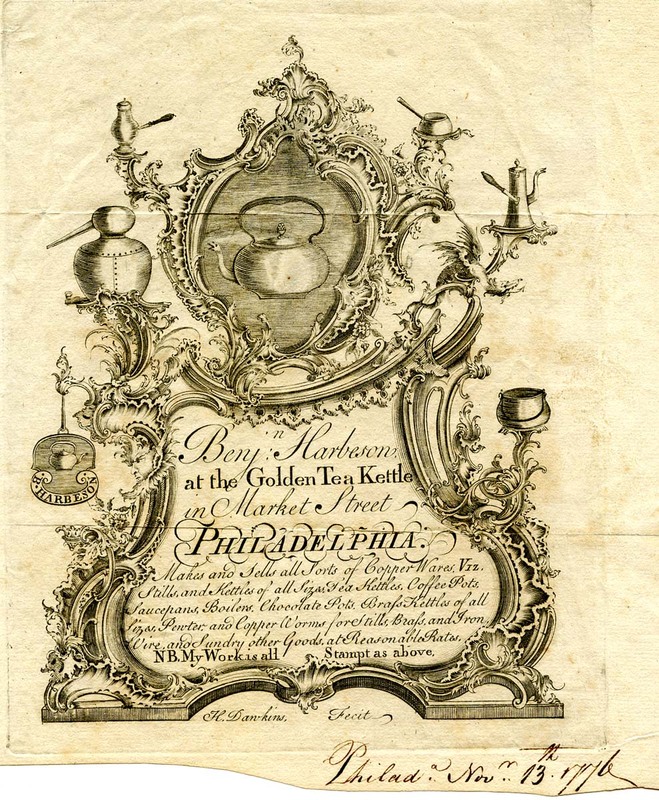 Cards and labels were distributed to people on the street, given out with items sold, glued onto furniture, and sometimes used as bills and receipts. 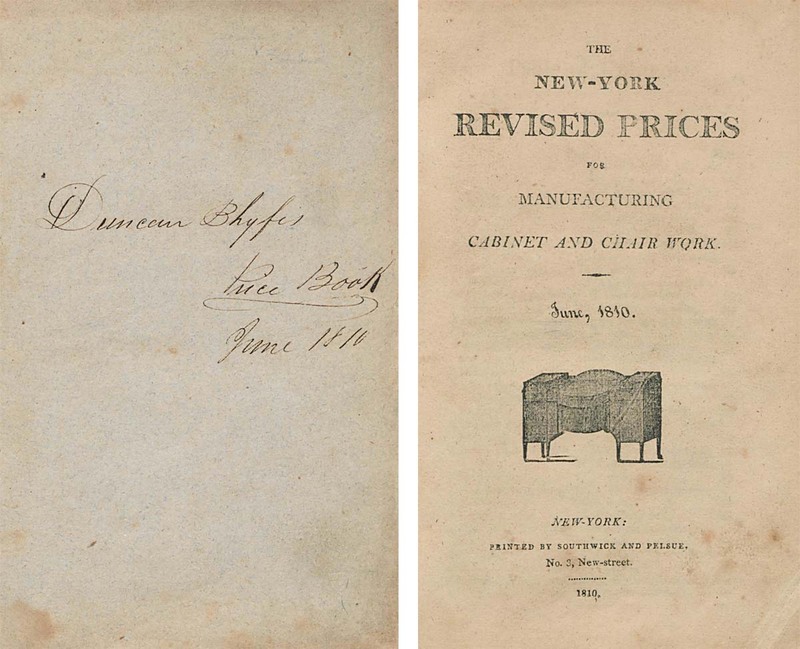 The illustrations alone tell us much about the period in which they were created. 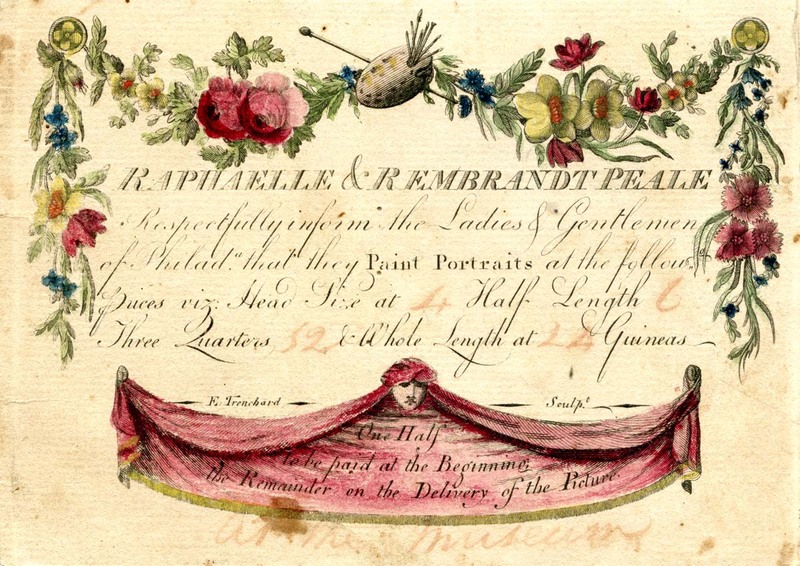 In the early stages of their professional careers, American painters Raphaelle and Rembrandt Peale advertised with the hand-painted trade label seen here. By 1831, when Rembrandt painted Eleuthera du Pont (sister of Evelina du Pont Bidermann, the first owner of Winterthur), he had enjoyed a long and successful career. Between 1794 and 1813 in Philadelphia, Samuel Williamson crafted silver objects such as this waste bowl and tablespoon. 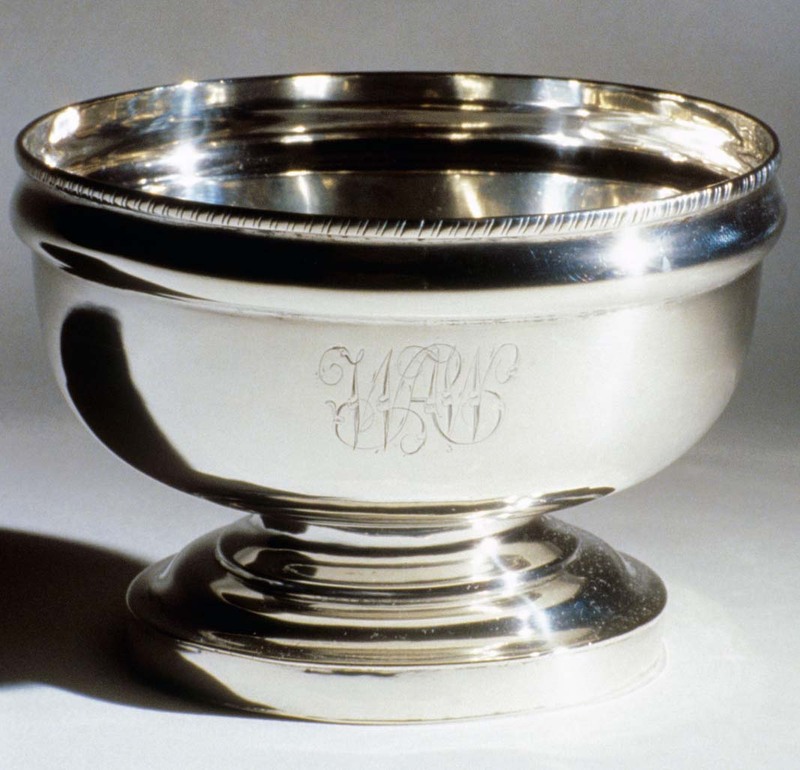 In his ledger, he recorded information about making, mending, and selling his silverwork, training craftsmen, and importing plated silver from England. 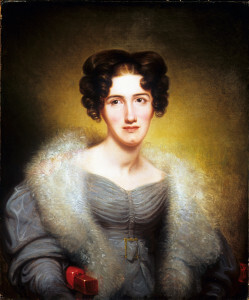 Lyre-back chairs were fashionable in the early 1800s, while chairs with Grecian cross legs were rare. 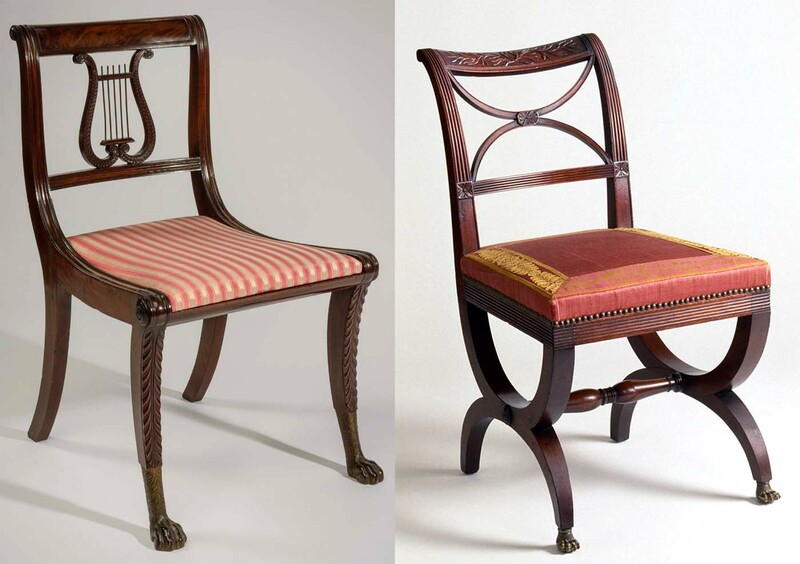 The two chairs seen here are attributed to Duncan Phyfe. They display exquisite and innovative craftsmanship that could only have come from such an experienced furnituremaker. 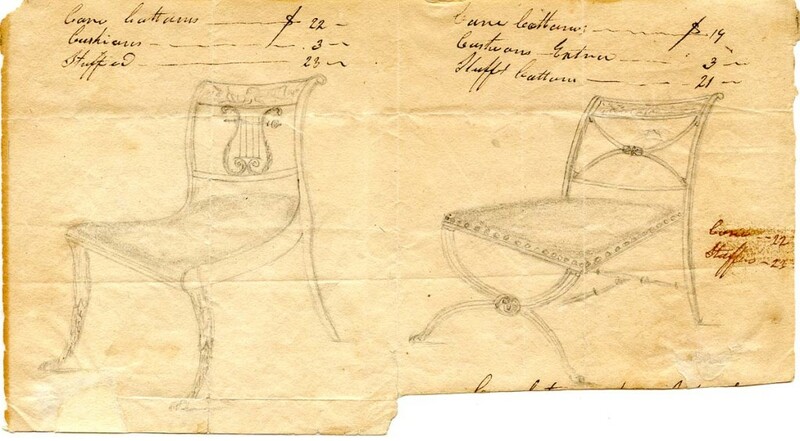 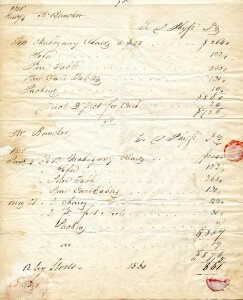 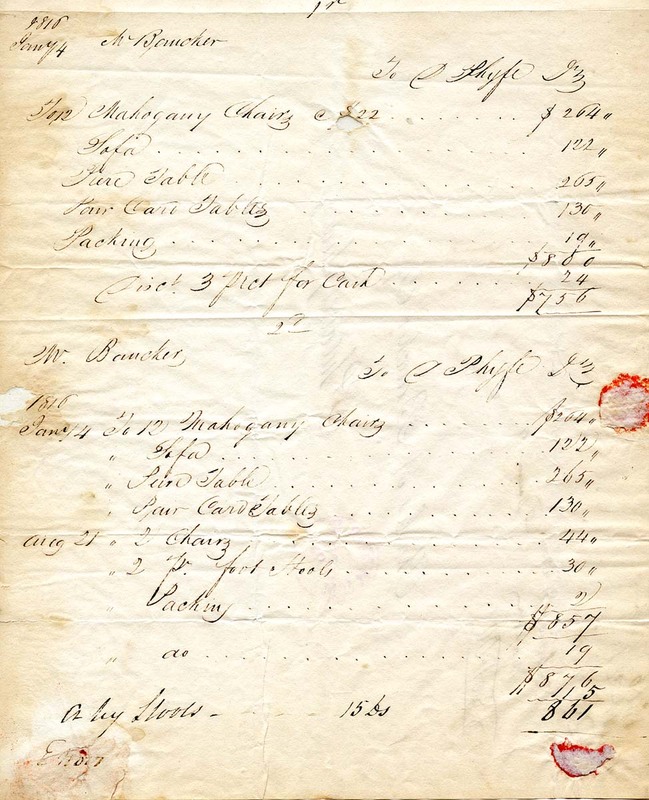 In addition, Phyfe sent an invoice for furniture as well as a drawing of similar chairs to a Philadelphia client, providing further evidence that he made the pieces seen here. 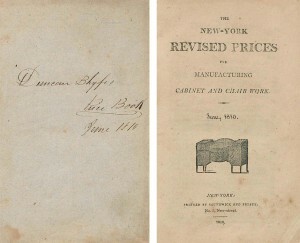 He most likely priced the chair seats using his personal copy of a New York pricebook for cabinetmakers.